You may have been hearing more and more about Lyme disease as the summer presses on. The Centers for Disease Control and Prevention recently put out a report indicating cases of Lyme disease are on the rise in certain parts of the U.S.
Lyme disease is an illness caused by being bit by a deer tick. Symptoms of Lyme disease include fatigue, headache, muscle spasms, chills, fever, skin rash and numbness. Lyme disease continues to be difficult to diagnose. But with medical advancements why is getting to the bottom of this illness so hard? As of late many celebrities have opened up about their Lyme disease. Many shared their experiences detailing how afraid they were when they didn’t know what was wrong. As awareness of Lyme disease and prevention increases, hopefully cases will begin to subside. In the meantime, let’s examine why it takes a long time for people to be diagnosed. Lyme disease commonly presents like many other illnesses including the flu. This factor alone makes it hard to differentiate the symptoms of Lyme disease. Another factor that makes Lyme disease hard to diagnose is the lack of training among doctors. Doctors who reside in states with a high incidence of Lyme disease cases (northeastern U.S.) are more experienced. On the other hand, in states where Lyme disease is not as prevalent (California for example) diagnoses of the illness may take much longer. However, when a patient suffering from Lyme disease develops a bulls-eye rash, the illness is easier to spot. The problem is many patients don’t develop this rash or it’s not noticeable. Sometimes Lyme disease can go away on its own. But for some people, symptoms can be debilitating and leave them bed-ridden. If Lyme disease is caught early enough a regime of antibiotics can be administered to fight off the illness. Although antibiotics generally work to improve and get rid of the disease, there are still a percentage of individuals who continue to experience symptoms long after treatment. At this point, researchers aren’t sure why symptoms persist. Ensure you are dressed appropriately. Cover your legs and arms. Wearing light clothing will make it easier to spot ticks on your clothing. Use an insect repellent, which contains DEET, to help keep ticks away – and other bugs that can cause infection. 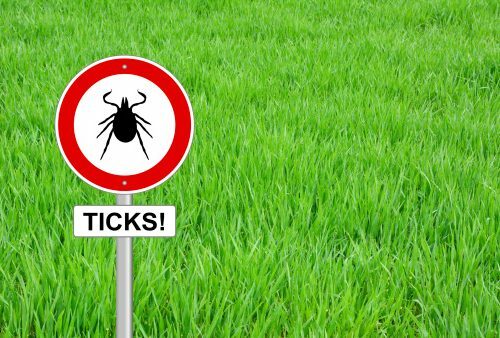 Lastly, after visiting wooded areas, give your whole body a look-over for any ticks – you don’t want to be carrying them around with you and bringing them into your home. Why is the United States at high risk for Lyme disease?